The New South Wales coastal town of Port Bellamy is synonymous with Mallory Fisher, abducted from the promenade carnival and discovered wandering the surrounding forest physically unharmed. Natasha Carmody wandered the carnival alone, visiting the small rural community as her brother was welcomed into the world. Child psychiatrist Ingrid Ballantine believes Sparrow is a manifestation of isolation, a fabrication created by a child displaced by a sibling. Natasha has endured the degradation and resentment of her mother, a woman disengaging with her daughter over the fabricated account. Detectives interviewed Natasha Carmody who was present the day Mallory was abducted by Sparrow, a nondescript shadow disregarded as a suspect. Natasha Carmody is a photography enthusiast, a conscientious young woman and diligent daughter. Sparrow is a constant and menacing presence, a figure cloaked in shadows believed to be the vivid imaginings of a narcissistic child. It begun at Willow Creek, the derelict childhood home of her father. Sparrow would enter through the bedroom window, coercing eight year old Natasha into dangerous predicaments for his own amusement and gratification. His manipulation culminating with the disappearance of Mallory. Although Sparrow engages in predatory behaviour, cruelty and manipulation, he is not a sexual predator. Mallory now communicates through non verbal cues, diagnosed with selective mutism, her recollection of her ordeal unable to assist the authorities. Mallory experiences anxiety, preferring the sanctuary of her bedroom and online friendships. Morgan Fisher was present at the carnival when Mallory disappeared, accepting culpability for her abduction. Morgan is an interesting character, although self condemning his positivity is infectious. His tentative friendship with Natasha is sincere and compassionate, although Morgan unsuspects Natasha's involvement in the abduction investigation. Although Natasha concedes that Sparrow is a manifestation, she is an unreliable protagonist. The nonlinear narrative blends present tense with the childhood psychiatric transcripts succeeding the abduction. Natasha now experiences social anxiety, apprehensive of forming new friendships. Her friendship with Sadie is wonderful, a young Māori woman identifying as lesbian, her single mother operating a small catering business is inspirational. Another extraordinary aspect is Sarah Epstein's ingenuity to create an atmospheric environment, as a bystander encompassed by the narrative, menacing and foreboding. Small Spaces is a compelling, unpredictable and consuming debut. Phenomenal. I was already looking forward to reading this (even more so now = awesome review). I'm expecting to haunted by this book for quite a while afterwards. I always find unreliable narrators get into my head that way. YESSSSS more #LoveOZYA awesomeness to scream to the world about. I couldn't believe how much if effected me Sarah, I couldn't read at night or in bed. It just has that sense of menace, absolutely Incredible read. One of my favourites this year. Oh my, I just discovered this one this week, and it's even more impressive than I thought. I love how she's playing with perceptions in this -- so much delicious potential! This is most definitely a must read Verushka, I love an.unreliable narrator. It's brilliantly written, such a privilege to read. I'd love to see what you think of it. This book sounds insane. Like, I find unreliable narrators confusing as hell because I want to believe them but I know they're unreliable for a reason (it's kind of in the name) but this one seems to take it to a new level. I want to read just to fully get everything that happens because that book summary has some sinister undertones to it. I need it but it's expensive. It's bizarre. The character is an unreliable narrator because of the characters that surround her. Herself, she's incredibly self assured but the entire narration then makes you question yourself, I felt like an unreliable reader and I've never experienced that before. It's a psychological thriller. You'll absolutely love it. I'm not always a fan of unreliable narrators but this sounds spooky enough to make me reconsider. Unreliable but most definitely likable though which is the difference for me. Well worth taking a chance Karen, it's phenomenal. 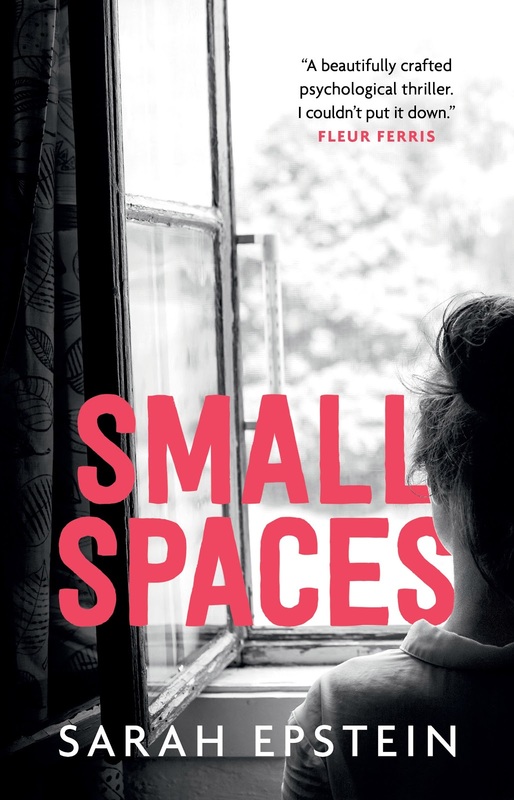 This is where Small Spaces differs Lauren, the narrator is seen as unreliable but when in fact it's the characters around her which makes you question the story. A really unique aspect. So clever and absolutely brilliant! We need more hours in the day Lara, there's never enough. This is one you'll want to make a priority, my goodness it's incredible. Aren't they just! It was incredible, a true psychological thriller. Sounds really spooky, now I'm curious! It's absolutely brilliant Vanessa, one of my favourite reads this year by far! I've got this one coming up on the list to read and I'm really excited, it sounds like a really creepy one which I adore. It's pee your pants creepy Jeann, cannot wait to see what you think of it! I've been hearing endless positive things about this book. The blurb really has me interested, and I have a review copy waiting for me... when I can get to it. I really like the sound of how the story is told in this one, and your review definitely has me keen on figuring out the questions I have about Sparrow and everything else. It kept me on the edge of my seat throughout the entire read, completely unpredictable especially with Tash being portrayed as an unreliable narrator. Such an incredible read!